Dr Huacheng Zhang, Professor Huanting Wang and Associate Professor Zhe Liu and their team in the Faculty of Engineering at Monash University in Melbourne, Australia, in collaboration with Dr Anita Hill of CSIRO and Professor Benny Freeman of the McKetta Department of Chemical Engineering at The University of Texas at Austin, have recently discovered that MOF membranes can mimic the filtering function, or &apos;ion selectivity&apos;, of organic cell membranes. 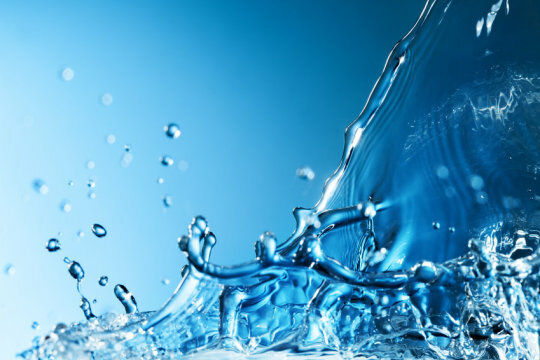 Currently, reverse osmosis membranes are responsible for more than half of the world&apos;s desalination capacity, and the last stage of most water treatment processes, yet these membranes have room for improvement by a factor of 2 to 3 in energy consumption. They do not operate on the principles of dehydration of ions, or selective ion transport in biological channels, the subject of the 2003 Nobel Prize in Chemistry awarded to Roderick MacKinnon and Peter Agre, and therefore have significant limitations. These innovations are now possible thanks to this new research. Monash University&apos;s Professor Huanting Wang said, "We can use our findings to address the challenges of water desalination. Instead of relying on the current costly and energy intensive processes, this research opens up the potential for removing salt ions from water in a far more energy efficient and environmentally sustainable way." "Also, this is just the start of the potential for this phenomenon. We&apos;ll continue researching how the lithium ion selectivity of these membranes can be further applied. Lithium ions are abundant in seawater, so this has implications for the mining industry who current use inefficient chemical treatments to extract lithium from rocks and brines. Global demand for lithium required for electronics and batteries is very high. These membranes offer the potential for a very effective way to extract lithium ions from seawater, a plentiful and easily accessible resource." Building on the growing scientific understanding of MOFs, CSIRO&apos;s Dr Anita Hill said the research offers another potential real-world use for the next-generation material. "The prospect of using MOFs for sustainable water filtration is incredibly exciting from a public good perspective, while delivering a better way of extracting lithium ions to meet global demand could create new industries for Australia," Dr Hill said.